I was at the fracture clinic this morning. It wasn't too bad, only 2 1/2 hours. 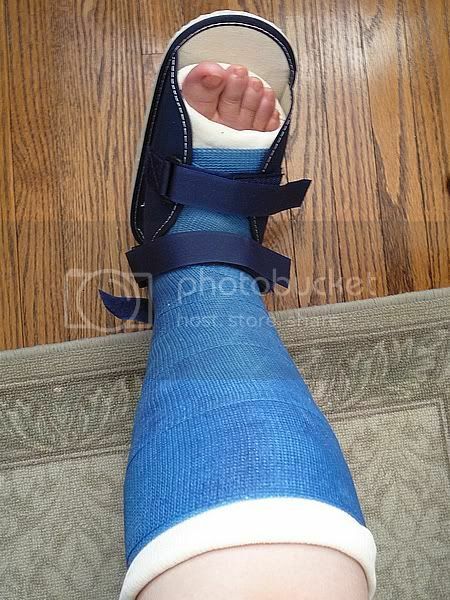 I now have a new best friend for the next 4 weeks, a blue fibreglass cast.